Have problems playing left-handed opponents? Don't feel too bad, Xu Xin is struggling too. Team China’s warm up matches for the Liebherr 2017 World Championships continued yesterday, with Xu Xin being the centre of attention. Having lost the previous day to Lin Gaoyuan 4-1, the coaches decide to mix-up the playing schedule. Xu Xin was meant to be up against Liang Jingkun in yesterday’s warm up match, but the decision was made to change his opponent to Yu Ziyang. Finding solutions to play against left-handed opponents is a top priority for Xu and the coaching staff. In the Asian Championships last month, the pen-grip pro lost to Koki Niwa, and at the 2016 Rio Olympics in the team event Xu went down to Jun Mizutani 12-10 in fifth. Add to that another loss to Lin Gaoyuan at the Marvellous 12 and you can see a problematic pattern is developing. The top ranked players are disproportionately left-handed compared to the general population. 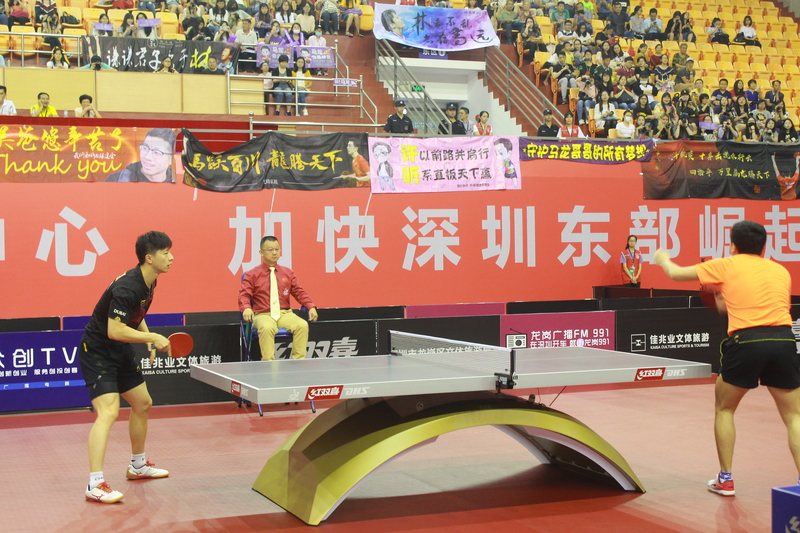 Southpaw table tennis is a route to success; Xu Xin should know. But now he is on the other side of the table, trying to deal with the problems lefties create. Ma Long still looking for peak performance before heading to Düsseldorf. In other matches in yesterday’s warm up event, Ma Long had a tough time against Zhou Yu going down 4-2. While on the women’s side Ding Ning suffered a similar fate against Chen Xingtong, also losing in six games. Team China will head to Luxembourg on the Saturday 20th May for one week of adaptive training before they make their way to Düsseldorf.